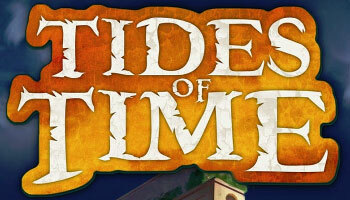 Play as an ancient civilization as they prosper and collapse through time. Build gigantic monuments, raise impenetrable fortifications, and amass vast knowledge as the ages pass. The greatest civilizations will leave their mark long after their collapse. From times long forgotten to times recently lost, civilizations will rise and fall as the tide of time carries them. Tides of Time is a drafting game for two players. Each game consists of three rounds in which players draft cards from their hands to build their kingdom. Each card is one of five suits and also has a scoring objective. Players will be playing ancient civilizations as they prosper and collapse through time. Build gigantic monuments, raise impenetrable fortifications, and amass vast knowledge as the ages pass. The cards in the game provide players with different abilities and Victory Points for scoring objectives. For example, there are cards which score for each card of a given suit, or cards which score for having the majority in a particular suit, etc. Below you will find the list of all the cards and their abilities.